Swansea University is taking the lead on the AMBER project, and running the coordination and management (WP6). Prof. Carlos Garcia de Leaniz will act as the project coordinator, seconded by a full time Project Manager (see WP6), and a number of researchers involved with different Work Packages. Sofia Consuegra will lead the eDNA tool development (WP2), Luca Borger the pan-European assessment and predictive modelling of stream barrier effects and local biodiversity and the ‘barrier passability rapid assessment tool’ (WP2), and modelling fish telemetry data (WP3), and Ian Dodkins the aquatic macrophytes and tool integration (WP2). Swansea will also help collecting data for the European Barrier Inventory as well as setting up a database optimized for the analyses planned in WP 2 and WP3, and will actively contribute to the dissemination and communication of results (WP5). Prof. Carlos Garcia de Leaniz is the Principal Investigator and Coordinator of AMBER. He is Professor of Aquatic BioSciences and Director of the Centre for Sustainable Aquatic Research (CSAR) at Swansea University. He obtained his BSc in Marine Biology at the University of Victoria (BC, Canada) and his PhD (Zoology) at the University Aberdeen (UK), followed by post-doctoral research at the University of Glasgow and ZSL London. He has +30 years experience in the fields of Salmonid Behaviour, Conservation, and Ecology. He was awarded the 2014 AEMS ‘Living Streams’ prize for his contribution to the conservation of Atlantic salmon in Spain, where he pioneered the removal of old, unused barriers to increase stream connectivity in the early 90s. Victoria Hurst is Project Manager for AMBER and will assist the PI in running this collaborative project. She has extensive experience of supporting multi-disciplinary research projects and of ensuring project milestones, deliverables and value-for-money are achieved. Prof. Luca Börger is Professor of Ecology and Biodiversity and co-Director of the Centre for Biomathematics and Deputy Director of the Research Institute for Ethics and Law (RIEL) at Swansea University and founder and Secretary of the Movement Ecology Special Interest Group of the British Ecological Society. 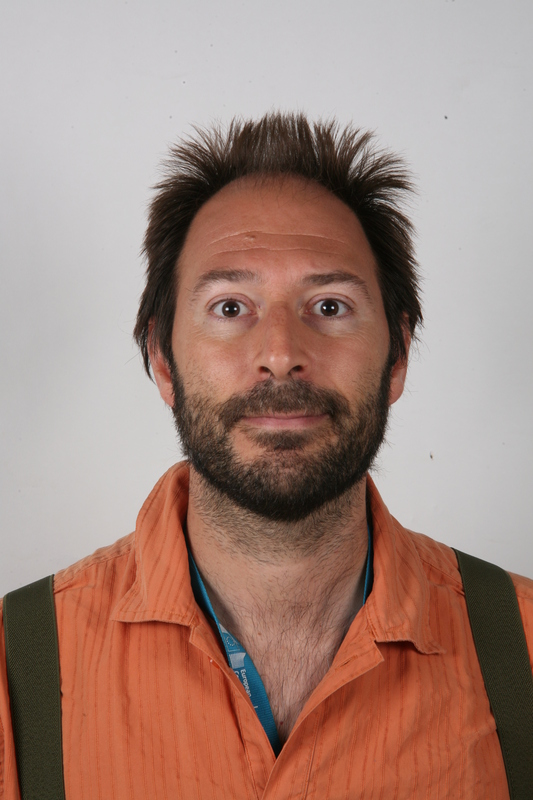 He obtained his BSc & MSc Ecology at the University of Pisa (Italy) and his PhD (Zoology) at the University Cambridge (UK), the latter including also a 2-year visiting PhD student research stay at Imperial College at Silwood Park, followed by post-doctoral research at the University of Guelph (ON, Canada) and at the CNRS and INRA in France (at research centres in Chize and Rennes). His research concersn quantifying and predicting multiscale responses to environmental change, from movement responses of individual species to dynamic changes in community structure and biodiversity patterns. To do so he combines experimental and observational data using statistical and mathematical modelling approaches. 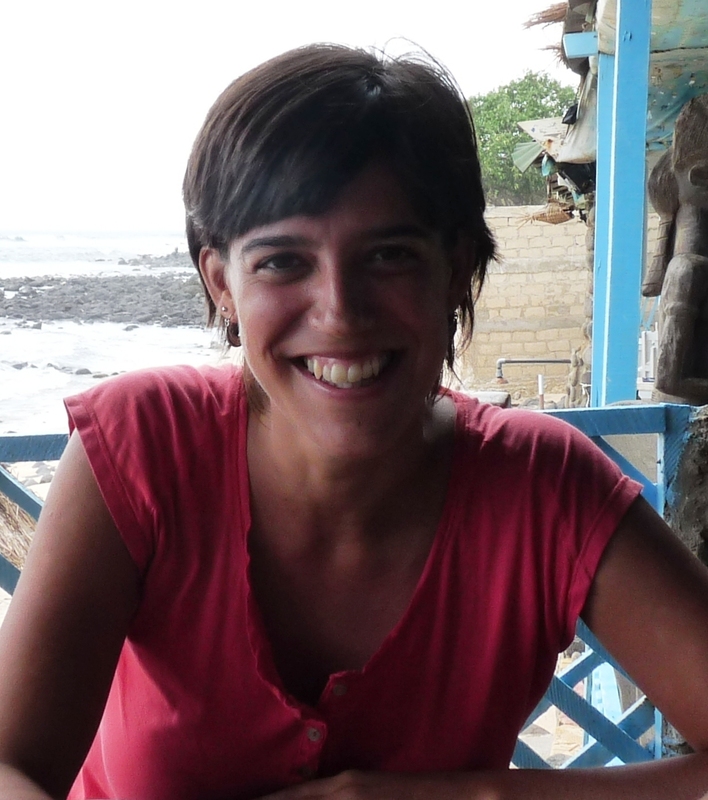 Sonia Consuegra is a Professor of Evolutionary Ecology with an education and professional experience essentially international, which combines different positions in academia and government. She has an extensive background working in genetics of wild and captive fish populations and her current projects involve work on aquatic invasive species, genetic and epigenetic basis of disease resistance, evolution of mating systems, food security and rapid adaptation to environmental change. Heidi is based at Swansea University and will support the P.I. in the delivery of this four year collaborative project. Peter Jones started at Swansea University in July 2017 working as a Research Technician on the AMBER project. He will be undertaking a range of responsibilities within this position, including; conducting laboratory-based experiments quantifying the swimming abilities of a range of aquatic organisms to assess their responses to barriers, undertaking molecular work to aid in the development of an eDNA metric of stream connectivity, and providing data management support in the compilation of a pan-European barrier atlas. Peter has a PhD in fish ecology from the University of Otago (New Zealand), has extensive field and laboratory experience, and has spent several years working in aquatic research, freshwater consultancy, and river restoration. Dr. Deiene Rodriguez Barreto research till date has been developed in the context of fish physiology, nutrition, reproduction and genomics. She graduated in Biology at the University of La Laguna (Spain), where her PhD (2014) mainly focused on broodstook nutrition and reproduction. In November 2015 she began work as a Postdoctoral Research Officer at Swansea University, exploring the role of epigenetic modifications in the farmed vs wild salmon, assessing the effect of early life conditions and stress on the epigenome and microbiome of Atlantic Salmon, and evaluating the effects of aquaculture intensification (crowding) on Nile Tilapia. She has experience on bioinformatic processing of a wide range of data sets derived from high-through-output sequencing. Within AMBER, she will be involved in the use and refinement of molecular tools based on environmental DNA (eDNA) to develop novel and ecological metrics of stream fragmentation to reach a better understanding of its causes and consequences. 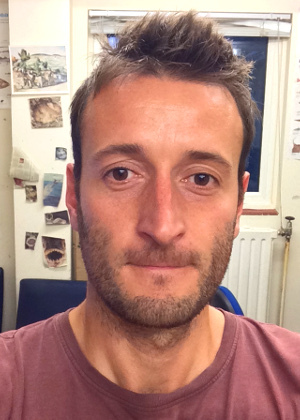 Dr. Josh Jones is a Postdoctoral Research Officer on the AMBER project at Swansea University. He has a PhD in geography from Aberystwyth University and a background in remote sensing, GIS and process based modelling. His research focuses are modelling the consequences of stream fragmentation under different scenarios of river flow, land-use and climate change and assembling ecological survey data into a single database. 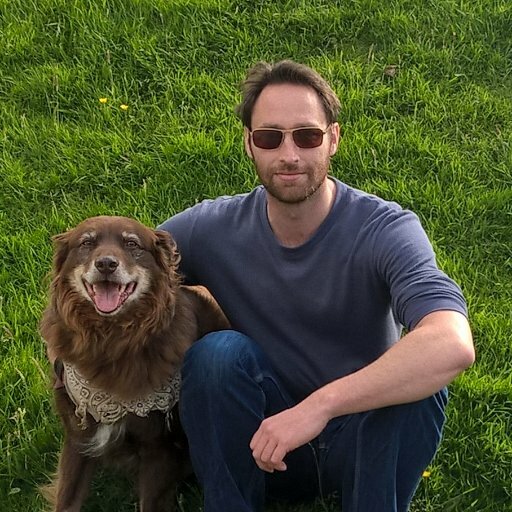 Dr Richard O’Rorke is interested in the application of genomic tools to understand questions in community ecology, life history theory and macro-evolutionary processes, with a particular emphasis on how these relate to the structuring of food webs. He is also interested in how environmental genomics can enhance practical efforts in conservation and the culture of organisms. He has a PhD in Marine Science from the University of Auckland, New Zealand, and has studied habitats ranging from rain-fed lakes to open ocean systems to Hawaiian mountain ranges. He is working with members of AMBER on the application of eDNA tools to characterise how freshwater habitats have become fragmented by the imposition of anthropogenic constructions such as dams and weirs. Durham will participate in WP1 (inventory of barriers across European countries), WP2 (evaluating ecological, hydrogeomorphological and socio-economic impacts and benefits of river barriers, as well as developing tools to measure these), WP3 (contributing socio-economic analysis to barrier management decision tools, testing predictions of ecohydraulic tools developed in WP3) and WP4 (UK and cross- border case studies). They will also collaborate in knowledge dissemination and training (WP5) through collaborative scientific articles, production of training and education materials, participation in symposia and workshops and cooperation with UK stakeholders. Dr Martyn Lucas is an Associate Professor in Aquatic Animal Ecology at the University of Durham in north east England. He has 27 years’ research experience in spatial ecology, ecological engineering, conservation biology, invasion ecology and evolutionary ecology and has published widely in these fields. His team has particular expertise in fish migration, biotelemetry and river restoration. With Etienne Baras, he published Migration of Freshwater Fishes in 2001. 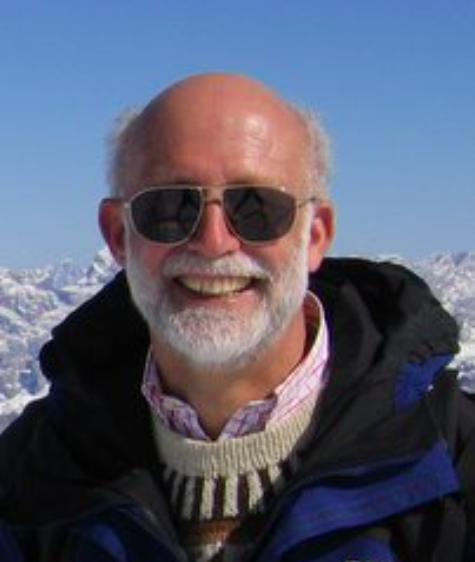 Dr Patrice Carbonneau is a leading expert in fluvial remote sensing. After a PhD and post-doctoral work on terrestrial remote sensing of salmon habitat during juvenile life stages, he extended his expertise to airborne remote sensing. This has led him to develop a further specialisation in the application of drones to low-cost terrain and habitat mapping which is supported by a decade of piloting experience in environments ranging from the high-arctic to the Atacama desert. Riccardo Scarpa is a Professor of Environmental Economics and a distinguished expert in Econometrics of discrete choice and Public goods and quasi-public good valuation and financing. He has held many visiting research appointments in Australia, New Zealand, Italy and South America. He has supervised 18 PhD students, most of whom went on to academic or research-based positions. His publications (over 100 peer-reviewed) have been cited more than 2,100 times in ISI journals, with an ISI H-index of 29 (Google-scholar 49). He has led and collaborated on numerous international and national Research projects and acted as an advisor for many government agencies. 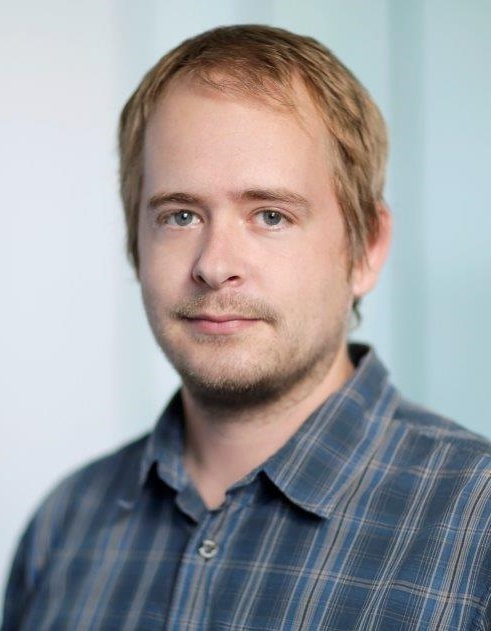 Jeroen Tummers is a Post Doctoral Research Associate working on the AMBER project at the University of Durham. His research area includes river restoration by for example reconnecting impounded reaches through fishways, spatial ecology and impacts of habitat fragmentation on the aquatic environment. Sergio is a Research Associate working on the AMBER project at the Centre for Energy and Environmental Economics (Durham University Business School). He has a multi-disciplinary background in water resource management, hydropower engineering and landscape ecology. His focus is the use of nature-based solutions for climate change, disaster risk management and the realisation of the human right to water and sanitation (UN Sustainable Development Goal no. 6). SOTON will participate in all WPs; will help identify and collate local information on barriers in English Rivers (WP1) and contribute to the quantification of impacts of barriers on fish habitat (WP2). SOTON will also provide support related to case study demonstration of adaptive barrier management (WP4), communication and public engagement (WP5). SOTON’ main role in AMBER will be through leading WP3 with special focus on task T3.2 through the examining of hydrodynamic problems relating to fish migration and developing the Agent Based Model. Prof Paul Kemp is Professor in Ecological Engineering at the University of Southampton. He is the founding Director of the International Centre for Ecohydraulics Research (www.icer.soton.ac.uk) and director of the EPSRC funded Centre for Doctoral Training in Sustainable Infrastructure Systems (CDTSIS www.cdt-sis.soton.ac.uk). He is experienced in co-ordinating large consortium research and networking projects including those funded by the UK Research councils (e.g. EPSRC-funded “Vaccinating the Nexus” - EP/N005961/1 and a Leverhulme international network grant on the ecohydraulics of fish passage) and EU FP7 work packages (e.g. Hylow, Energy-2007-1-RTD project number: 212423). His research expertise relates to the application of behavioural ecology to understanding and solving challenges in engineering. Dr Jim Kerr is a Research Fellow working on the AMBER project at the International Centre for Ecohydraulics Research (University of Southampton). He has a background in a diverse range of aquatic sciences with a focus on fish behaviour in response to complex flow conditions. 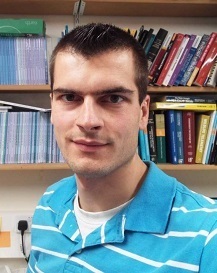 Dr Andrew Vowles is a Research Fellow at the University of Southampton whose work has focused on mitigating anthropogenic impacts on freshwater environments. His areas of interest include river restoration, fish passage, behavioural ecology and ecohydraulics. RLI will help source local information on barriers in Scottish rivers for the European Inventory of Stream Barriers (WP1). It will play a lead role in developing molecular genetic tools for the characterization of the nature of local aquatic biodiversity to inform location-specific mitigation needs, and focusing on fish related tools (WP2). It will lead a case study in WP4, demonstrating integration of the adaptive barrier management framework, developed in WP2 and WP3, to optimally address ecosystem restoration needs associated with historical and contemporary barrier impacts associated with hydroelectric dam construction and operation in the Upper River Garry tributary catchment of the Ness river system in north central Scotland, in collaboration with the hydroelectric operator, local fisheries management boards and trusts, and other interested stakeholders. This will span all biological, social and economic issues. The RLI, building on involvement of its staff in previous projects focused on information dissemination (e.g. EU SALGEN, GENIMPACT and SALSEA-MERGE projects), and close connections to the Scottish freshwater management sector, will also contribute to WP5 (Dissemination and Citizen Science). Through its connections with local fisheries management boards and trusts, and international partnerships, the RLI will be able to deliver the DNA samples required for the genetic tool development work under WP2. Through involvement in the Upper Garry Salmon Restoration Project, led by the Ness District Salmon Fisheries Board and Scottish and Southern Electricity, the RLI will bring access to the field site for study and sampling for the case study of the Upper Garry Restoration Project. 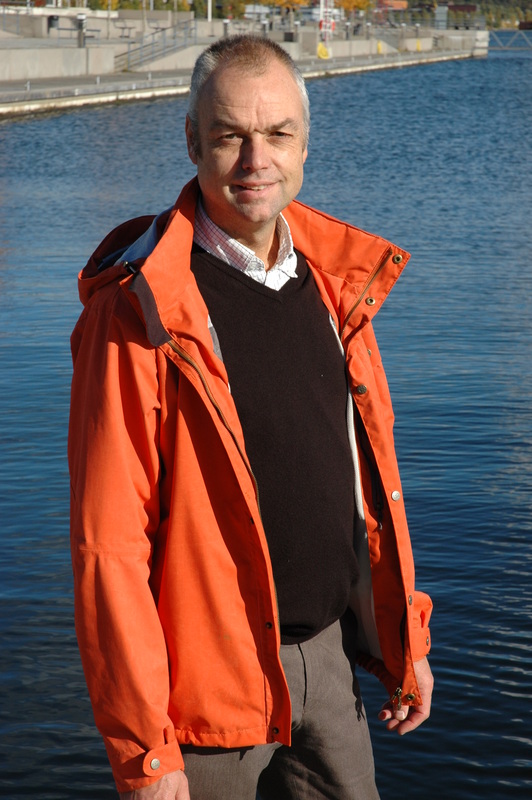 Dr Eric Verspoor is Director of the Rivers and Lochs Institute and Professor of Aquatic Biodiversity Conservation and Management at University of Highlands and Highlands Inverness College. He has more than 40 yrs.’ research experience applying molecular population genetics to understanding impacts on aquatic biodiversity, and has a particular interest in salmonid fishes. His work has been published in over 150 peer-reviewed papers, secondary scientific reports and book chapters, and he was lead editor and chapter contributor to the seminal book “Atlantic salmon: genetics, conservation and management”. 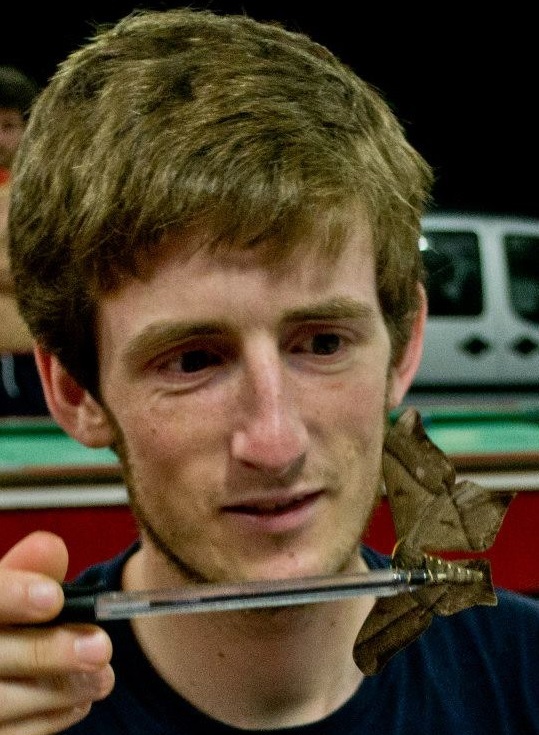 His current research focuses on the use of molecular genomic tools to elucidate morphologically and ecologically cryptic evolutionary population diversity, and for the routine assessment and monitoring of the ecological status of biodiversity to understand impacts from human activities and inform sustainable economic development. Dr Mark Coulson is a senior researcher at the Rivers and Lochs Institute with expertise in molecular population genetics and eDNA analysis. His interest are in their application to understanding species’ ecology and evolution and to biodiversity conservation and management. Mark has a BSc (University of Prince Edward Island, Canada), an MSc (Memorial University of Newfoundland) and PhD (Dalhousie University). His research has encompassed studies into the evolution and biogeography of gadoids, historical and contemporary factors affecting population structure in rainbow smelt (sparling), and DNA barcoding of skates and rays. With the Rivers and Fisheries Trusts of Scotland (RAFTS) he worked in collaboration with Marine Scotland Science, Freshwater Laboratory and rivers Trusts and Boards on the “Focusing Atlantic Salmon Management on Populations” (FASMOP) project applying molecular markers to increase understanding of population structuring of Scottish Atlantic salmon stocks, and contributed to the EU SALSEA-MERGE project. More recently he led genetics work on the RAFTS “Managing Interactions Aquaculture Project” (MIAP). Currently, he, as part of a UK research council grant, using genome wide association analysis to identify molecular markers of domestication for use in assessments of introgression of farm genes into wild salmon populations, and projects on eDNA detection of invasive species and metabarcoding for detection of impacts of salmon aquaculture on benthic invertebrates. Dr Philomena de Lima , is a Director of the Centre for Remote and Rural Studies at the University of the Highlands and Islands, Inverness College. She is a Sociologist and will contribute to the case study in WP4, led by RLI . The purpose of the case study will be to demonstrate the importance of integrating the adaptive barrier management framework to address ecosystem restoration needs associated with historical and contemporary barrier impacts associated with hydroelectric dam construction and operation in a river system located in north central Scotland. This case study will be undertaken in collaboration with the hydroelectric operator, local fisheries management boards and trusts, and other interested stakeholder and will span biological, environmental social and economic issues. Dr Melanie Smith is the Head of Research Development at Inverness College, University of the Highlands and Islands. 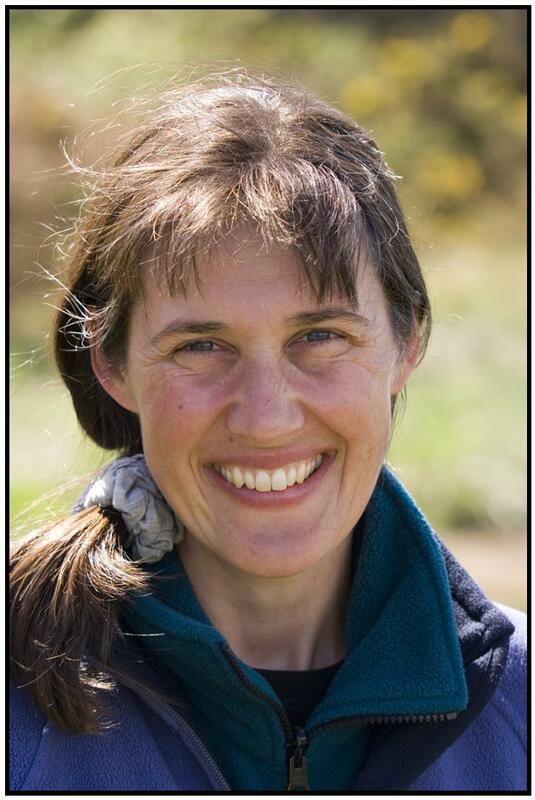 She has 25 years’ experience in research and teaching, in ecology, conservation and landscape management. She has strategic leadership of all research activity at Inverness College UHI, including the development of the Rivers and Lochs Institute. Her research expertise includes interpretation of long term ecological change for application in conservation and land use management. She is on the board of Trustees for Skye and Wester Ross Fisheries Trust and Rivers and Fisheries Trusts Scotland. 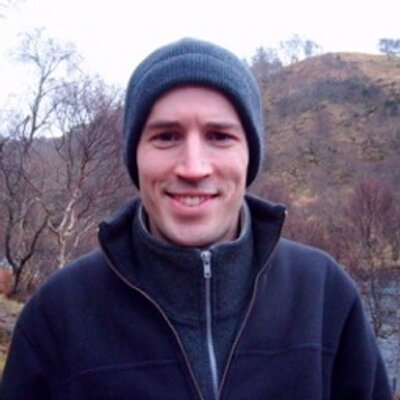 Dr Euan Bowditch has a background in forest management, with a Masters in Environmental Law from Nottingham University and a Ph.D in Forestry and ecosystem approaches from Aberdeen University (UHI). He has also worked in the forest sector in Guatemala, USA, Portugal and Germany, focussing upon the role of forest management in community and urban forestry projects. He is a researcher in the Landscape, Forests and People Research Group at UHI and has joined the Rivers and Lochs Institute as part of the AMBER project, to investigate the socioecological aspects associated with the Ness case study and coordinate the development of GIS tools for research and public engagement purposes. 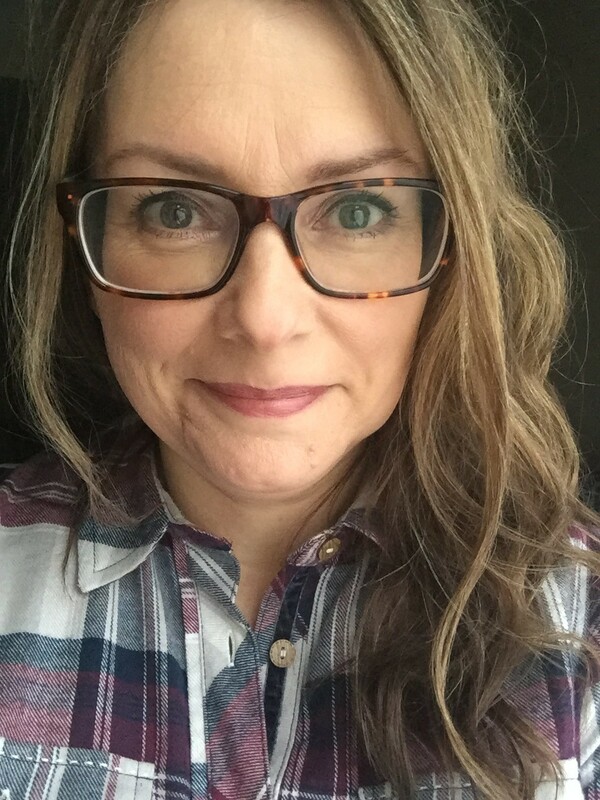 Dr Barbara Morrissey began working at the Rivers and Lochs institute in 2016 and will be using eDNA and metabarcoding tools to assess the fragmentation of freshwater habitats. She has a background in molecular ecology and evolutionary biology and has experience in developing new molecular genetic tools for use in population genetics and epidemiology. Dr Lucio Marcello has expertise in molecular genetics, bioinformatics and host-parasite interactions, having worked at the University of Glasgow on several projects relating to Human African Trypanosomiasis. 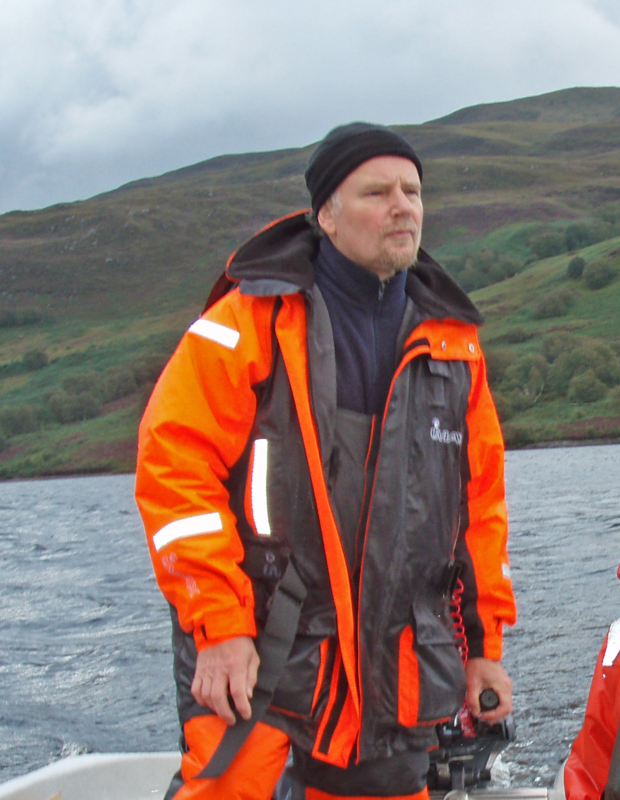 He has recently joined the Rivers and Lochs Institute and coordinates the AMBER working group, with a focus on biodiversity and habitat assessment of the Ness case study, through eDNA methodology and conventional survey methods. He is also investigating archive materials, to chart the impact of dams and other land use changes over time, and reconstruct baseline biodiversity for the Ness river system. Within AMBER, DTU will be work package leader for WP4 – case studies. DTU will also be participate in compiling all the information on barriers in Danish rivers, as well draw on our contact to get information from other countries. This will contribute to the European Inventory of Stream Barriers (WP1). DTU will also leading a meta study on small barrier adaptation in WP4 and contribute to the WP2 tasks of reviewing the Literature and Development of a Conceptual Framework on Barrier Effects on River Ecology and Processes and Effects of Barriers on Habitat Connectivity and Biota. Additionally, DTU-Aqua will help with Developing a physical barrier planning (removal and installation) decision support tool in WP3. Dr. Aarestrup has been a dedicated fish biologist since 1995. He has worked as a senior scientist at DTU Aqua since 2004. His early research focused mainly on up- and downstream migration of salmonids and eel and how artificial impoundments can greatly increase the mortality and delay of migrating fish. In the recent years he has been leading in telemetry studies of long distance migrations of salmon, trout and eels. Dr. Niels Jepsen has been a dedicated fish biologist since 1995. He has worked as a senior scientist at DTU Aqua since 2003. His early research focused mainly on predator-prey interactions between migrating smolts and various predators and how artificial impoundments can greatly increase the mortality of migrating fish. 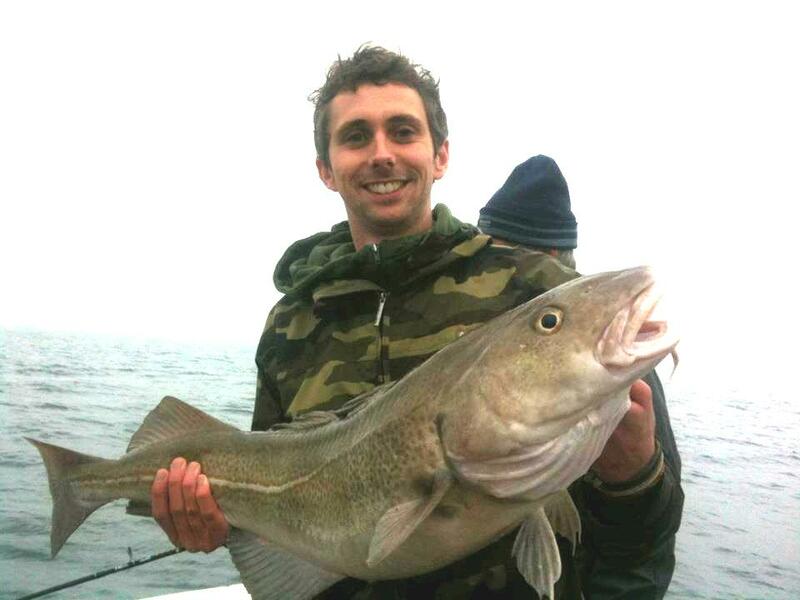 Kim is currently a PhD student in the Section for Freshwater Fisheries and Ecology at DTU Aqua. She completed her undergraduate degree in Animal Physiology at the University of Ottawa (Canada), and her M.Sc. in Biology at Carleton University (Canada) where her work was focused around brown trout migration. More specifically, she investigated the physiology of migration, and how fish respond to induced stressors. Alongside her core research, she investigated extensively the extent of anthropogenic impacts on wildlife. 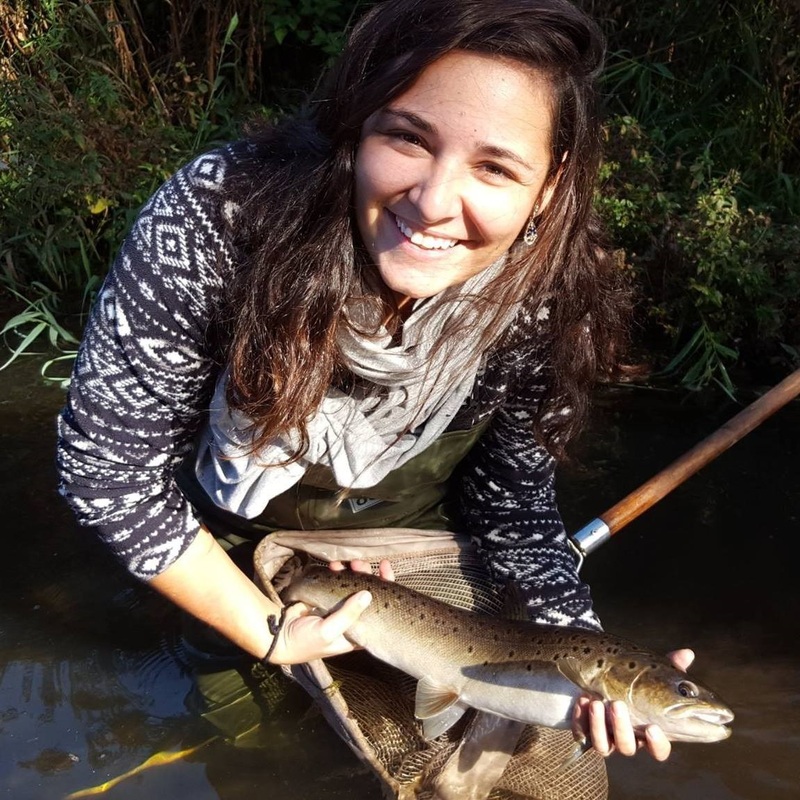 From there, she moved toward more applied aspects of fish migration, and now investigates the effects of barriers on survival/mortality, density and biodiversity of fish, as well as habitat changes – her PhD research. Kim continues to work on the physiological mechanisms involved in fish migration, especially as they pertain to partial migration. Within AMBER, UCC’s main contribution will be to WP4, leading subtask 4.2.1 (‘An European assessment of the impact of barriers on the conservation of Atlantic salmon’) within the task 4.2 (‘Problem solving applications in Barrier management’). UCC will also contribute to task 4.1 (‘Application of Adaptive Barrier Management to Case studies’), as well as to WP1, advising on the development of common standards for stream barrier surveying and inventorying, the harmonisation of country-specific surveys and the creation of stream barrier inventories for single countries. Similarly, it will contribute to WP2, advising on the development of European-scale predictive models of stream barrier effects on connectivity and local biodiversity, and will contribute to the communication activities in WP5. Dr Philip McGinnity is a Principal Investigator in University College Cork. He has published widely in the areas of salmonid population biology and ecology, stock assessment, population genetics, evolutionary biology, and the inventory of freshwater fish habitat. Dr McGinnity is a member of a number of Commissions and Working Groups: the National (Ireland) Salmon Commission, the Salmon Commission’s Standing Scientific Committee, the Scientific Advisory Committee of the Loughs Agency (formerly the Foyle Fisheries Commission), as a member of the European Food Safety Authority (EFSA) Panel on Genetically Modified Organisms; the International Union for Conservation of Nature (IUCN), Salmonid Specialist Group; as a member of the ICES Working Group on the Application of Genetics in Fisheries & Mariculture, member of the Honorary Scientific Panel of the Atlantic Salmon Trust. IFI will contribute to WP 1 on the Barrier Atlas and also to the Case Studies work package. In WP4 Case Studies & Demonstration Phase on Adaptive Barrier Management, the IFI team will undertake a holistic task involving fish, invertebrates, sediment, channel form and hydraulics studies before and after proposed removal of a major barrier in the River Munster Blackwater, Ireland. 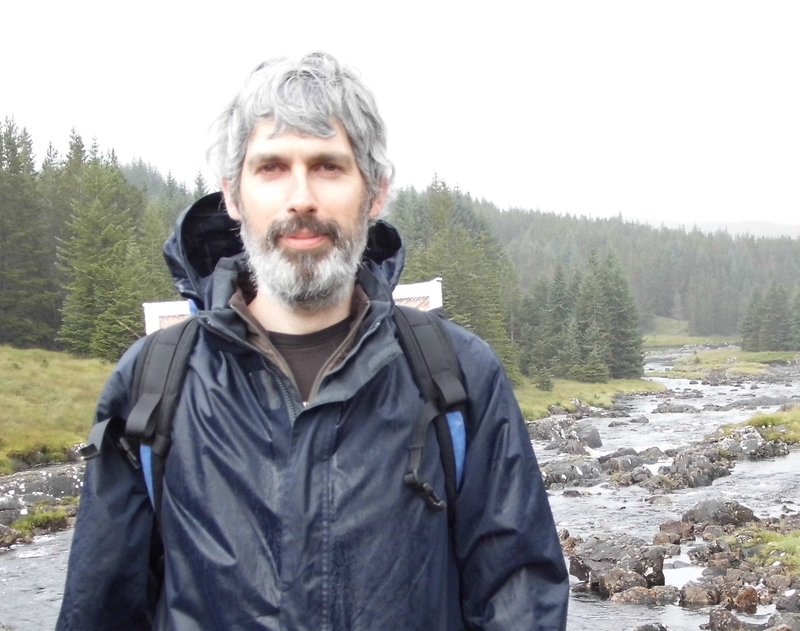 Dr. James King is a member of the R&D unit in Inland Fisheries Ireland (IFI) with over 30 years’ experience of applied fisheries ecology and management studies in Irish rivers, lakes and estuaries. He has been published in peer-review journals and on line in grey literature. 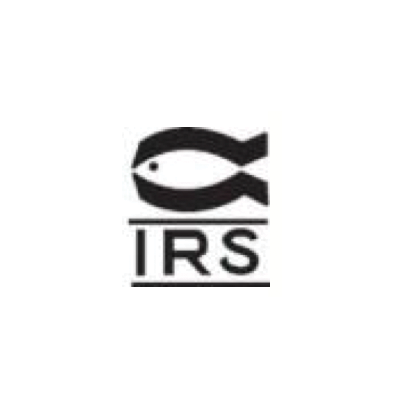 IFI lead scientist on: conservation of Habitats Directive fish species; Hydromorphology and river connectivity; River drainage works in Irish rivers – ecological impacts and mitigations. Mr. Alan Cullagh is a member of IFI’s Operations team with over 30 year’s experience in fisheries management and protection. His specialist area is in physical infrastructure issues In rivers and mitigating their impact on migratory fish. He led the POMS survey on the River Nore catchment, identifying over 500 barriers ( Gargan et al (2011). He is involved in designing, planning and overseeing barrier removal, rock ramp construction and other mitigation measures. Dr. James Barry is a fisheries biologist working with the R&D unit in Inland Fisheries Ireland. His research interests are in fish behaviour, biotelemetry and fisheries assessment. His main research has focused on using acoustic telemetry techniques to better understand spatial and migratory behaviour of endangered fish species. As part of the AMBER project he is compiling information on barriers in rivers, in particular their location and type, which will feed into the Atlas of European Barriers. He is undertaking a programme of acoustic tracking of sea lamprey, the study intends to look at the response of the sea lamprey when they encounter barriers or blockages to their upstream spawning migration. He is also investigating the fish biodiversity in the impounded deep water areas upstream of major weirs and the potential change in populations post weir modification. The World Fish Migration Foundation is running the Communication, Dissemination and Public Engagement through Citizen Science (WP5). They are highly experienced in public engagement and dissemination of information. Herman Wanningen is WP leader and has a WFMF team (listed below) spread throughout Europe to ensure that the communication and dissemination objectives can be met. Each of the team members acts as a node to facilitate the tasks in WP1 and WP5, where WFMF have a major role. WP1: Leading Task 1.2, the stream barrier inventory. WP5: Creating a strategy for communication and dissemination of information from AMBER to public, government, NGO and industrial bodies (T5.1); Creating the database and active network of contacts, contributors and coordinators (T5.2); and implementing the citizen science programme (T5.3). WFMF act as an important link between WP1 and WP5 for the Atlas, citizen science and dissemination activities. 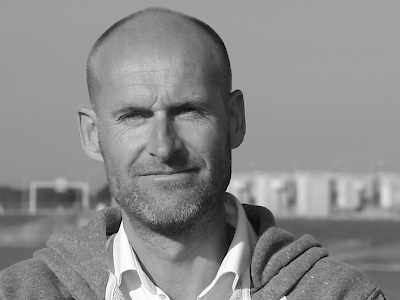 Arjan Berkhuysen is managing director of the World Fish Migration Foundation and within AMBER he is responsible for the communication work package. Ecologist Herman Wanningen wants to connect fish, rivers and people. He is project developer and initiator of the World Fish Migration Day. Bas Deelman is a communication and multimedia specialist who worked on both marketing, graphic design and video productions. His work varies from animations for small startups to marketing campaigns for IKEA Netherlands and advertising concepts for Heineken and Coca Cola. Bas is responsible for the marketing, communication and visual identity of the World Fish Migration Day where he is working together with National Geographic, WWF and TNC. Pao Fernández Garrido is a fishway and dam removal expert at the World Fish Migration Foundation. She specialises in river restoration and fishway design, and has worked on fishway designs, fishway evaluations using telemetry techniques and has collaborated on dam removal projects in USA. Pao is a key coordinator of World Fish Migration Day 2014 and 2016 activities. Pao has extensive experience in data acquisition and communication. Some of the communication based projects that she has been involved in include collecting data for a dam removal database in Europe, coordinating the Fish Passage 2015 conference and coordinating World Fish Migration Platform activities, such as webinars. Peter Gough is an advisor at the World Fish Migration Foundation and an English fisheries manager with over 30 years’ experience. 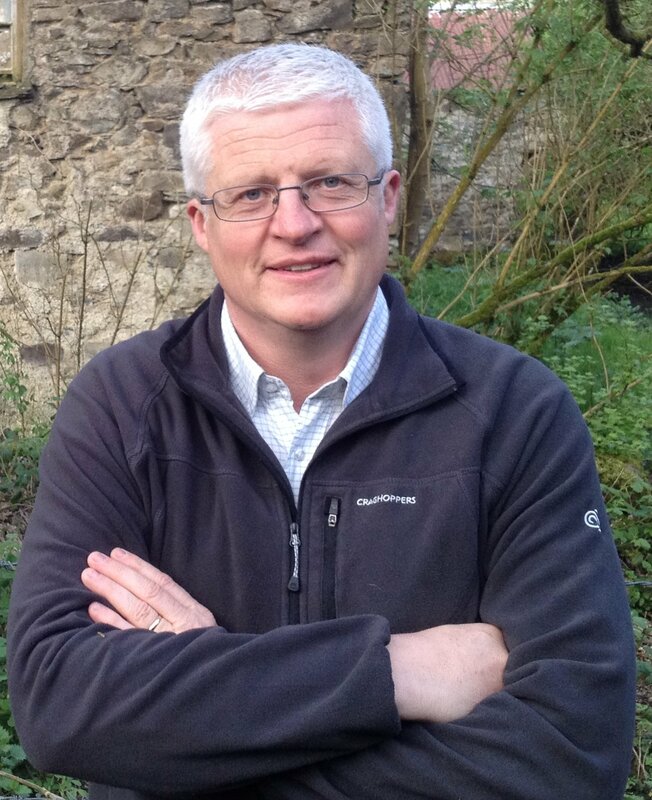 He has worked for the water industry and Government regulatory bodies, specialising in environmental impact assessments, design and implementation of fish migration solutions on a catchment scale, fish stock exploitation assessment, fisheries monitoring including management of telemetry and sonar assessments, and management and engagement with NGO and voluntary sectors on river restoration and improvement. Peter was editor and co-author of the worldwide guidance “From sea to source, International guidance for the restoration of fish migration highways” (2012). Rosa is a Forestry Engineer with broad experience in environmental consulting. 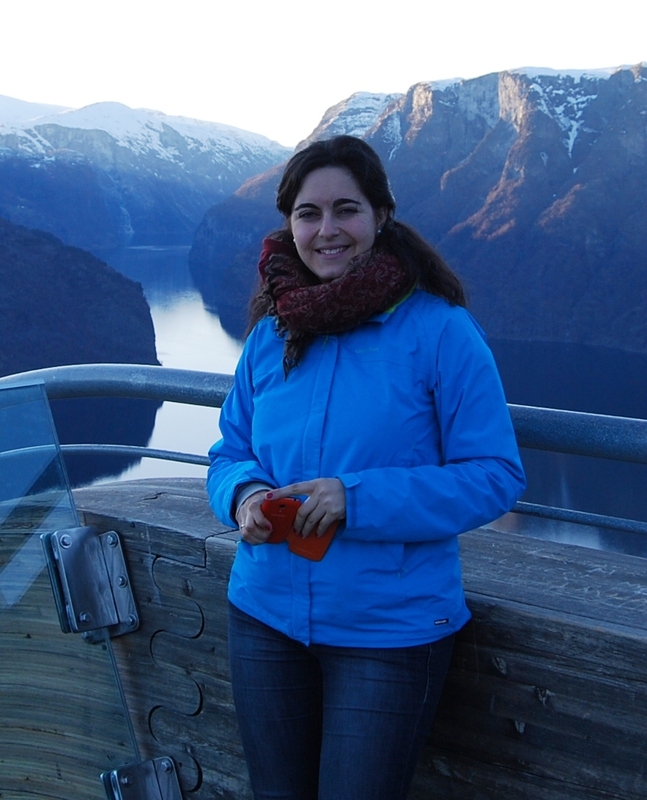 She is specialized in water management and river restoration and has been involved in several European projects focused in green infrastructures and river connectivity, working in the design of forest restorations and fish migration solutions. Roxanne is the communication specialist for the World Fish Migration Foundation. Within AMBER, she is considered ‘chief of communication’ and will be working on the website, newsletter, publications and the like. Within AMBER, UNIOVI will be in charge of collecting wild samples of the targeted species from Spain. They will participate in the WP1 - together with Partner 10 (AEMS-RIOS CON VIDA) they will contribute to the inventory of barriers in Spain, contacting relevant stakeholders and compiling available information from official institutions. In WP2 they will develop molecular tools within the toolkit. Principally they will work on detection of invasive fish and invertebrate species through environmental DNA, and use of the sequences obtained from eDNA to determine population connectivity. In the same WP2 they will also contribute to developing citizen science tools with pilot trials in Spain. In WP4 they will be in charge of Spanish case studies, also together with Partner 10. They will demonstrate integration of the adaptive barrier management framework, developed in WP2 and WP3, to optimally address ecosystem restoration needs associated with historical and contemporary barrier impacts associated with hydroelectric dam construction and operation in case studies in Spain.. For this they will collaborate with the hydroelectric operators, local fisheries management boards, agencies and companies of rural and active tourism, ecologists and other interested stakeholders. This will span all biological, social and economic issues. They will also collaborate in knowledge dissemination and training (WP5) through collaborative scientific articles, elaboration of training and education materials, participation in symposia and workshops and contacts with Spanish authorities, managers, stakeholders (WP3), as well as in the organization of volunteers for citizen science. Prof Eva Garcia-Vazquez is a full professor of Genetics at the University of Oviedo. She has published more than 200 peer-reviewed articles and coordinated or participated as PI or Co-I in more than 50 international and national research projects. She is Visiting Scientist at the University of Victoria (Canada) and her main research interest is on the development and application of genetic markers to the conservation of aquatic natural resources. She has also supervised 20 PhD students between 1993 and 2015, all of them with at least four SCI-indexed articles published from their thesis, 11 awarded with the International Mention and 10 with the Extraordinary Prize of Doctorate. Dr Agustin Roca Martinez is an Associate Professor of genetics. He has worked on molecular and cell genetics for more than 35 years using different plant and animal model organisms. With >40 articles, his research has been recently focused on the impacts of various anthropogenic factors, such as aquaculture escapes and oil spills, on aquatic vertebrates and invertebrates. Dr Eduardo Dopico Rodriguez, Eduardo is an Assistant Professor of Pedagogy at the Department of Education Sciences. He has been a practitioner of adult education and coordinator of social centres in Oviedo for more than 15 years before starting his academic career, which is mainly focused on science education and public understanding of science. He has published 35 peer-reviewed articles and attracted funds for 13 research projects as Principal Investigator. He is the leader of the Citizen Science WP in the Spanish National Grant on Societal Challenges CGL2013-42415-R until 2017. Dr Borrell Pichs, Yaisel Juan is an Assistant Professor of Genetics, his research lines include the use of molecular markers for Conservation Genetics, Detection of invasive species, Population Genetics and for developing sustainable aquaculture projects and for assessing aquaculture impacts. He has published >40 SCI-indexed articles on Genetics of aquatic organisms. Currently he employs NGS methodology for biodiversity inventories. He participates in the EU ITN AQUAINVAD-ED. Sara Fernández is a PhD student at University of Oviedo. Her Phd research is based on the use of eDNA tools and its application to evaluate connectivity in aquatic ecosystems. 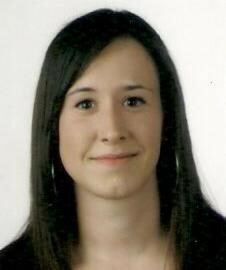 Elena Arboleya is a PhD student at the Department of Education Sciences of University of Oviedo. 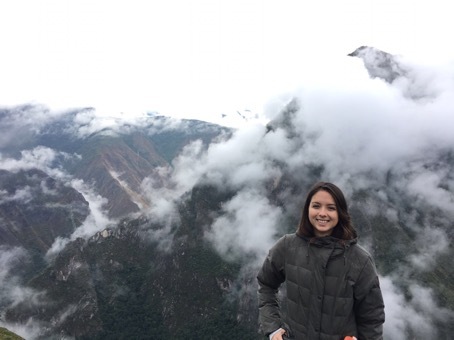 She has a background in rivers, dams and reservoirs studies from Narcea-Nalón basin and her research is based on science literacy and education. AEMS-Rios con Vida participates in the WP 1. European Inventory of Current Barriers (Iberian Peninsula); WP1: Store in a cartographic database information available in records and public or private files on existing barriers in each basin in Portugal and Spain, using the systematic methodology for the identification and characterization of the adopted barriers for all project, defining its location, morphological characteristics, legal status, management and operation, etc. Also interpret and assess the likely environmental impact of each of the barriers depending on the existing biota and specific scientific or technical information available. WP3. The restoration of the current through adaptive management connectivity Barrier: Benefits and compensation; and WP5. Outreach and Citizen Science. WP3: Following the methodological criteria established for the entire project, will analyze and assess the environmental impact of each barrier in its current state, possible alternatives will be defined to reduce or overcome such impact restoring ecological connectivity, and an analysis will be made of the cost- benefits of each of the alternatives proposed, including environmental costs. WP5: will be responsible for promoting and organizing citizen science to gather additional information on existing river barriers in the basins of Portugal and Spain, and add it to a map database, disseminating and publicizing the initiative to citizenship and society through different communication tools: a newsletter, clips and print and digital brochures, news or articles in social media. César Rodríguez (AEMS-Ríos con Vida). He has a background in habitat studies, ecological flows and bioindicators of river quality and in river conservation and restoration. He coordinates the campaigns and projects of the entity at national level. Sara Garrido Espinosa (AEMS - Ríos con Vida) has a degree on Forestry Engineering, a degree on Environmental Science and a Msc in environmental communication and conflict management. She has broad experience in management of environmental projects from local to European level and communication actions. Within AMBER, she works for both technical tasks such as field validation, data collection, technical reports as well as organization of communication actions, contact with target groups, publications and Social Networks. Dr Pedro Brufao-Curiel is a PhD in Environmental Law. LL.M. in Energy & Environmental Law. Fulbright scholar. His main field of interest is Water Law. Speaker and author of books and reports on rivers. Member of AEMS-RÍOS CON VIDA. Legal Project Coordinator. Within AMBER, ERCE will participate in all WPs: from 1 to 6. In WP1, the major focus will be put to the inventory of barriers in Poland with some additional Eastern Europe countries. ERCE will lead WP2 al with the major focus on the scientific concept related to ecohydrology (Conceptual model of barrier effects on stream habitat & biota under various scenarios of global climate change) and on evaluation of ecosystem services. In WP 3 and WP 4 ERCE will be mainly involved in method calibration and ecosystem services validation on selected for AMBER case studies. ERCE also wish to collaborate in knowledge dissemination and training (WP5) through collaborative scientific articles, elaboration of training and education materials, participation in symposia and workshops and contacting with Polish authorities, managers, stakeholders as well as in the organization of volunteers for citizen science. Prof. Maciej Zalewski (ERCE PAS, Poland) is the ERCE coordinator and the WP2 leader for AMBER. His principal research interest and expertise is: ecohydrology – a sub-discipline of hydrology that focuses on ecological processes occurring within the hydrological cycle and strives to utilize such processes for enhancing environmental sustainability; implementation of the UN Sustainable Development Goals; adaptation to Global Climate Change; strategies of the European Commission on water, environment, cities and agriculture; development of a comprehensive scientific methodology for the harmonization of the needs of society with an enhanced environment potential, understood as multidimensional links between Water, Biodiversity, Ecosystem Services, Resilience, Cultural Heritage (WBSRC). Prof. Piotr Frankiewicz (ERCE PAS, Poland) is the WP2 and WP4 expert for AMBER. His principal research interest and expertise is: fish ecology in rivers and reservoirs, ecohydrology, biomanipulation, hydroacoustics, feeding strategy of fish, the use of trophic relationships in water ecosystems for increasing their resistance and resilience to anthropic pressure. Prof. Andrzej Kędziora (ERCE PAS, Poland) is the WP2 expert for AMBER. His principal research interest and expertise is: the modelling of the heat and water balance in different time and space scales of agricultural, wetland and forest ecosystems across the World; Global Climate Change impacts. Prof. Zbigniew Kundzewicz (ERCE PAS, Poland) is the WP2 expert for AMBER. His principal research interest and expertise is: freshwater resources and their management; extreme hydrological events; Global Climate Change impacts, adaptation, vulnerabilities; sustainable development. He is an IPCC expert. Dr Małgorzata Łapińska (ERCE PAS, Poland) is the WP2, WP4, WP5 expert for AMBER. Her principal research interest and expertise is: ecohydrology, freshwater ecology, fish-based assessment , fish diversity, river habitat diversity and river restoration, ecohydrological education and dissemination. 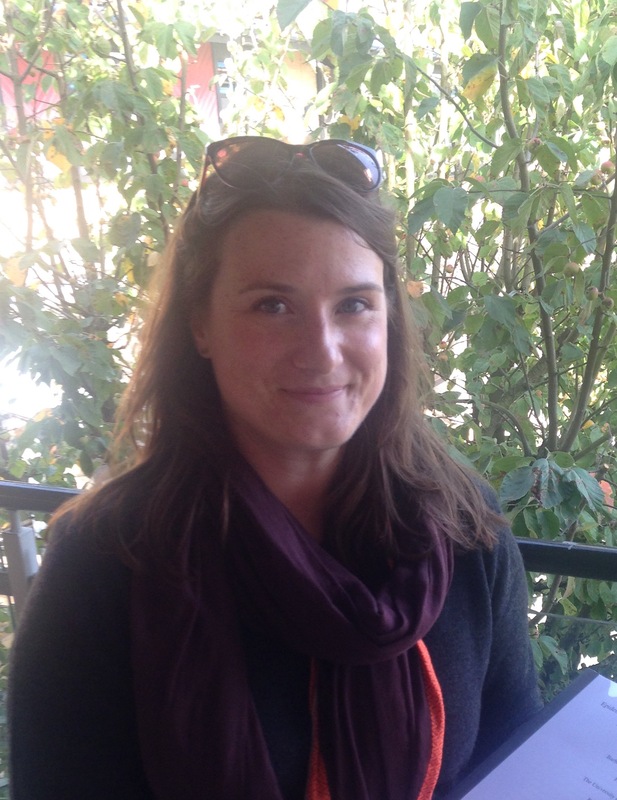 Dr Kinga Krauze (ERCE PAS, Poland) is the WP2, WP3, WP4 expert for AMBER. Her principal research interest and expertise is: fish ecology, river ecology, use of fish as indicators of river ecological status, implementation of ecohydrological measures at landscape scale for sustainability of water systems, socio-economic drivers of landscape transformation and biodiversity change. 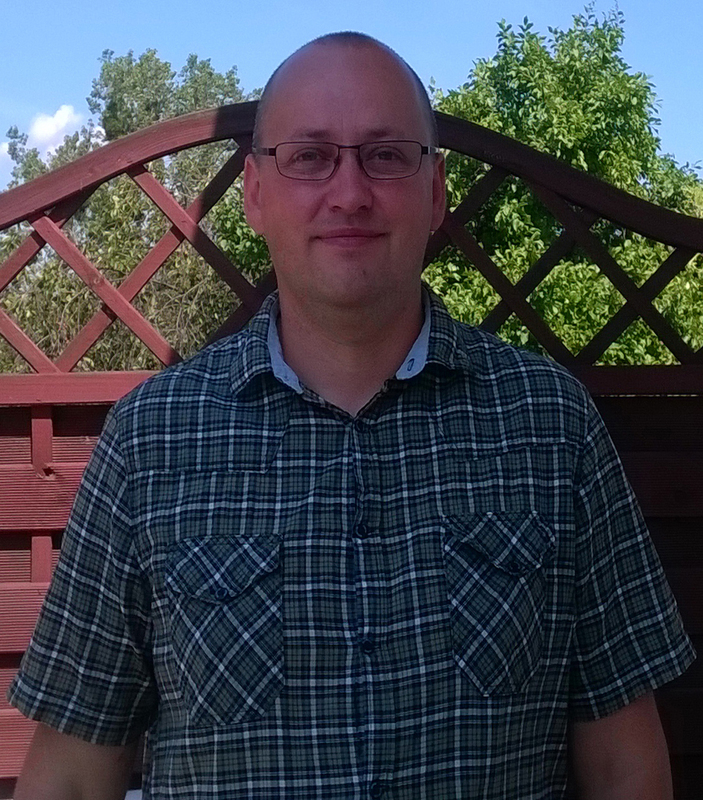 Dr Zbigniew Kaczkowski, (ERCE PAS, Poland) is the WP2, WP4 expert for AMBER. His principal research interest and expertise is: ecohydrology, freshwater ecology, fish ecology, fish monitoring, fish sampling methods, fish diversity and restitution. M.Sc. Eng. 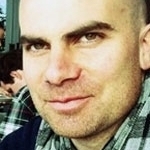 Wojciech Frątczak, (ERCE PAS, Poland) is the WP4 expert for AMBER. His principal research interest and expertise is: ecohydrology, integrated water management, case study Włocławek Dam on the Vistula River (Poland). 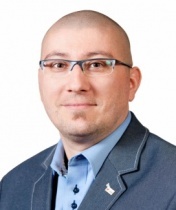 Dr Marcin Feltynowski, (ERCE PAS, Poland) is the WP2 expert for AMBER. His principal research interest and expertise is: urban and regional planning in the economics dimmention, land use and land cover changing, evidence based spatial planning, socio-economic drivers of spatial order and landscape transformation. He is full-time employee of the Department of Regional Economics and Environment, Faculty Economics and Sociology, University of Lodz. He is a member of European Land-use Institute (ELI) and The European Regional Science Association Polish Section (ERSA). Within the AMBER project SSIFI will participate in all work packages. In WP1, SSIFI will be a leading institution for Poland and several Eastern Europe countries for data collection and processing for the European map of fish migration. The Institute has large experience in inventory of fish migration barriers. In WP2 SSIFI will take an important part in the preparation of the “Species-specific Atlas of barrier impacts in Europe”. In WP 4 SSIFI will conduct a case study at one site in Poland. In WP5: due to long- term close collaboration with the Polish Angling Association, SSIFI will be involved in citizen science programmes, aiming at engaging the public in reporting the location and characteristics of stream barriers. SSIFI will also be strongly involved in the elaboration of training and education materials, participation in symposia and workshops and contacting with Polish authorities, managers, stakeholders as well as in the organization of volunteers for citizen science. Assoc. Prof. Piotr Parasiewicz is a co-leader of WP2 in AMBER project. He has a background in modelling of habitat for fish and macroinvertebrates. He created the MesoHABSIM model (www.MesoHABSIM.org). Paweł Prus Ph. D works in The Stanisław Sakowicz Inland Fisheries Institute (SSIFI), Poland since 2003, conducting research on rivers and dam reservoirs. He is a specialist in fish and macroinvertebrates ecology, as well as in assessing the environmental effects of hydro-technical works and in planning of mitigation and compensation measures. Dr Piotr Dębowski Ph.D. and associate professor in Inland Fisheries Institute, head of Department of Migratory Fishes SSIFI. Specialist in monitoring of status of populations, migration and reproduction of different migratory species. Expert in river connectivity and fishpasses efficiency. Member of several scientific and advisory boards of Ministry of Agriculture, scientific institutes and National Parks, and of some working group of ICES dealing with salmon and sea trout (WGBAST, SGBALANST). Dr Bernaś Rafał is a Ph.D. of Fisheries and Agricultural Sciences in Department of Migratory Fishes SSIFI. He is a specialist working for over 10 years mainly with fish migrations, migratory species, fish telemetry and also with population genetics. He has practical abilities and completed numerous courses of fish migration monitoring and fish pass evaluations. MSc Katarzyna Suska has been working in the River Fisheries Department, SSIFI since 2016, as a water resources engineer and fisheries resources engineer. She focusses on fish habitat survey using MesoHABSIM method and aerial photographs with drones, preparing maps based on drone photos and analyzing data with eg Agisoft program. POLIMI will support JRC in WP1 for the tasks of designing common standard of barrier inventories, supporting the establishment of the barrier inventory, and data harmonisation. In WP2 POLIMI will design a framework to apply the CASCADES (CAtchment Sediment Connectivity And DElivery) model to specific project case studies and to link its outputs and outcomes to the other assessments tools developed in WP2 regarding habitat quality and ecological connectivity. In WP4 POLIMI will implement Cascades on selected project case studies in order to provide large scale assessments of sediment connectivity under alternative scenarios of stream barriers planning and climate forcing. We will also test the feasibility to run large-scale assessments of sediment connectivity using Remote Sensing data currently available and structured at pan-European scale including the European Inventory of Stream Barriers developed in WP1. Prof. Andrea Castelletti is an Associate Professor of Integrated Water Resources Management, director of the Hydroinformatics Lab at Politecnico di Milano, senior scientist at ETH Zurich and adjunct professor at the University of Western Australia. His scientific interest focuses on participatory and integrated water resources management, decision and negotiation support system design, real-time control of water resources systems, dynamic and non-dynamic model reduction of complex processbased environmental models, non-linear data-driven modeling of environmental processes and behavioural modeling. He co-authored more than 90 peer reviewed publications including two books on water resources management. He is member of the editorial board of Environmental Modelling & Software, Associate Editor of Water Resources Research, Journal of Water Resources Planning and Management, and Acta Geophysica. Simone Bizzi is a researcher working in the group of natural resource management of Politecnico di Milano (http://www.nrm.deib.polimi.it). He has an interdisciplinary background which addresses both the development of new technologies and their uses for environmental processes understanding and its management. His recent research interest is about data analytics of remote sensing information from satellite, UAV and in-situ monitoring stations. He aims at translating such technology rooted information into model developments in field of hydrology, geomorphology and water management supporting decision analysis of environmental systems. 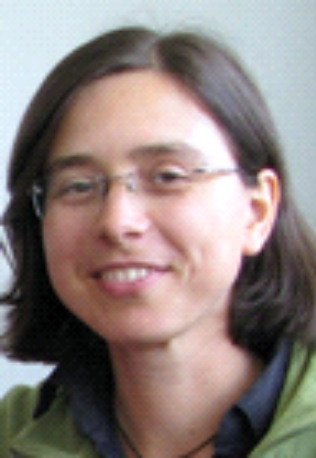 Barbara Belletti is a postdoc researcher at the Politecnico di Milano (Italy). Her research area includes the analysis of morphological and physical habitat dynamics in rivers, including the integration of these aspects within the management of river systems. Rodolfo Soncini-Sessa was born in 1948 in Milano. In 1972 he received a Master in Electronic Engineering from the Politecnico di Milano, Italy. He has been associate professor of Modelling and Control of Natural Resources (1982-1986, Politecnico di Milano) and full professor of Automatic Control (1986-1990, Università di Brescia), before becoming full professor of Natural Resources Management at the Politecnico di Milano in 1990. He has been invited to the International Institute for Applied System Analysis (IIASA) in Austria for several research periods. His main research interests are the Design of Decision Support Systems (DSS) for integrated and participatory decision making in the field of water resources, with attention to both quality and quantity of the water. Model identification, policy design and DSS architectural aspects are included. He is past president of the Technical Committee on Modelling & Control of Environmental Systems of IFAC, and on the Editorial Boards of Water International and Journal of Environmental Management and Modeling. He is author or co-author of several books and many papers. Within AMBER, CNSS will be in charge of compiling all the information on barriers in French rivers and contribute in this way to the European Inventory of Stream Barriers (WP1). CNSS will also participate in the demonstration phase (WP4) with a case study on adaptive barrier management based on the River Allier and in close collaboration with French hydroelectric companies and other partners. Capitalizing on their extensive expertise in dissemination and public engagement (for example through the organization of the Salmon Marathon, a popular event that attracts thousands of people to the River Allier every year), CNSS will also collaborate on WP5 . Gilles Segura has been working for more than 30 years in the field of dam management, ecological continuity and especially the study of aquatic habitats. He is also an international expert in the planning and development of major information systems on fisheries and the aquatic environment. Within AMBER, WWF Switzerland will contribute to WP1 by providing data on the dams within Swiss and Austrian River basins. It will also contribute to WP2, advising on investigating the socio-economic drivers and impediments for successfully reconnecting of European rivers. Finally, given the international network of the WWF, it will contribute to the science communication actions in WP5. Ruedi Bösiger has been the working for WWF for 10 years. He holds a Msc in Environmental Sciences and has an broad experience of water management focusing on fish migration. He runs the WWF Switzerlands Salmon Comeback Project for 7 years now and has a lot of know how in barrier mitigation (installation of fishways) replacement of dams by fish passage ramps, sediment transportation. Furthermore he is responsible for the Salmon come back Campaign including 20 Partners along the Rhine. He has considerable expertise in adaptive barrier management and conflict resolution in relation to the conservation of Atlantic salmon and other migratory fish and the exploitation of water resources. IBK will be the task leader for WP3 – subtask 3.1 (‘Develop a barrier planning (removal and installation) decision support tool’). IBK will also participate in WP2, on task 2.2 (‘Assessing stream barrier effects on geomorphology and habitat structure’) and task 2.4 (‘Developing European standards for a barrier passability rapid assessment tool’). Furthermore, IBK will also collaborate in WP5 (kno wledge dissemination and training) through collaborative scientific articles, participation in symposia and workshops, and interfacing with German authorities and hydropower companies. 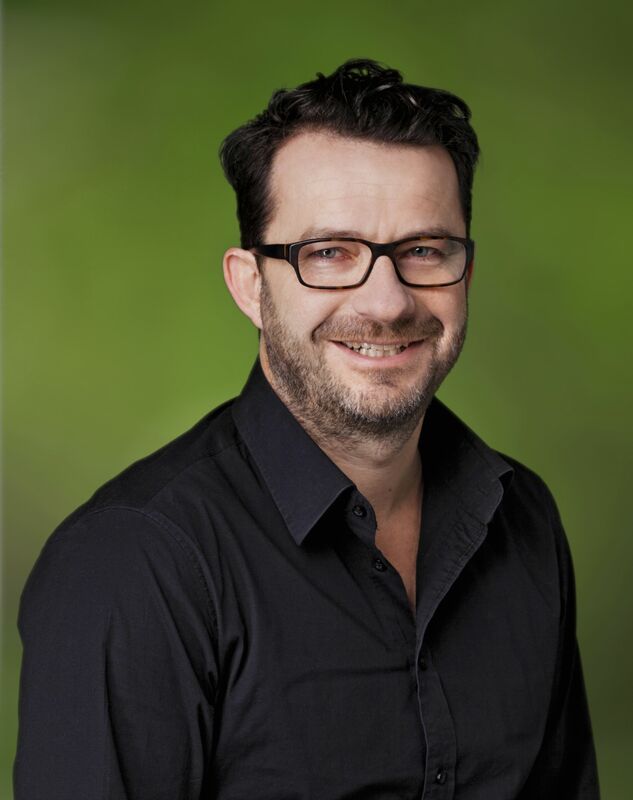 Dr. Jesse O'Hanley (Ingenieurbüro Kauppert) has specialised expertise in development of decision support tools for environmental planning and management. He has carried out advisory and consultancy work for various government agencies and NGOs on optimising investment in river infrastructure mitigation and placement. Tim Feierfeil, M.Eng. in civil engineering has expertise on river hydraulics, waterway engineering, hydropower and renaturation of streams. While working at the University of Applied Sciences Darmstadt for several years, he cooperated in several research projects with the Federal Waterway Engineering and Research Institute of Germany. Tim Feierfeil is working at Ingenieurbüro Kauppert since 2015 and is teaching technical hydromechanics at the University of Kaiserslautern. Sydkraft Hydropwer will collaborate in WP1, by providing information on its 77 power plants. It will contribute to WP4 by providing a crucial test case of dam removal, the Marieberg plant and dam in the river Mörrum in southeast Sweden. The dam inundates historical reproduction-areas for salmonids and a joint project together with the County Administrative Board of Blekinge, Mörrum Salmonfishing, and the Swedish Agency for Marine and Water Management has started with the aim to remove the plant and the dam and to restore the river-stretch. After the necessary legal procedure it will be possible to remove the installation (in 2017 at the earliest, but hence likely in perfect time for AMBER). Finally, SYD will also contribute to WP5 by aiding with the dissemination and discussion of the AMBER research results within the hydropower community, thanks to its national network of operators, authorities, universities and NGOs. Johan Tielman is the Environmental manager of the company. He has a long, more than 25 years, experience from hydropower and environmental measures both nationally and internationally. He has also been involved in much of the national research in this area with special focus on fish migration, biodiversity and the Water Framework Directive. Innogy has its main involvement in WP4, in assisting with case studies and ensuring the output from these case studies is relevant to commercial and industrial stakeholders. Their practical knowledge and input is extremely valuable. They also have some involvement with other WPs e.g. collecting data for WP1, as a discussion partner in WP2 and WP3 (i.e. they can provide relevant results of R&D projects (see below) in the field of fish protection, migration monitoring as well as our experience in O&M). Innogy will contribute to socio-economic evaluation of measures, especially in terms of renewable targets, multi-purpose use of barriers and overall linkage to the requirements of the Water Framework Directive (WP3). In WP5 Innogy will contribute to the dissemination and discussion of the research results within the hydropower community (Innogy Innogy is e.g. member of AGAW, a working group of hydro operators in the Alpes region) and assist in establishing contacts to stakeholders and authorities. Devid Krull (innogy SE) works on regulatory issues for renewable technologies including hydro power. He contributes to AMBER with his knowledge on economic aspects of hydropower operation and river basin management. Till Schneider (innogy SE) works on ecological aspects of hydro power and contributes to AMBER with his knowledge of innogy’s and other German past and running R&D projects on fish protection and downstream passage. JRC's main role in AMBER is to lead Work Package 1, the development and of the AMBER barrier Atlas. JRC will host and maintain the Atlas on its web portal, and during the development AMBER will utilise of some of the unique EU level data sets hosted by JRC. Through its extensive network of contacts throughout Europe and its role in the Water Framework Directive implelentation groups, JRC will also facilitate the dissimination and uptake of AMBER outcomes. Dr. Wouter van de Bund is work package leader for WP1 in AMBER (development of the Barrier Atlas). 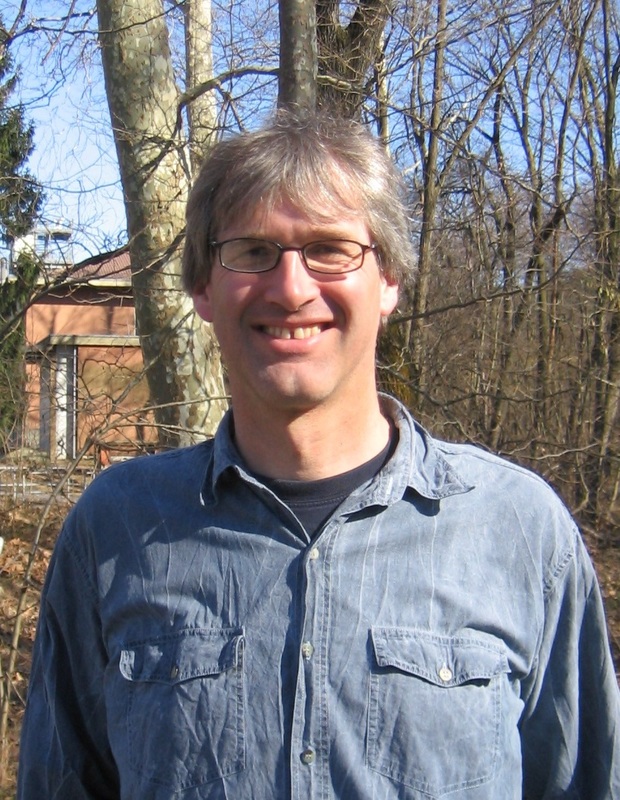 He has been working at JRC since 2001 focusing on the development and harmonisation of ecological status assessent methods for the EU Water Framework Directive. He has a background in environmental engineering and aquatic ecology. His early research addressed functional ecology of benthic macro-and meiofauna in lakes, bioturbation, and shallow lake food web ecology. Current research interests include the development of EU level indicators of pressurese on freshwater ecosystems, and links between hydromorphological alterations and biological indicators. He co-leads EU Water Framework Directive expert groups on ecological status, intercalibration and recently also hydromorphology. He has been involved in many EU research projects related to the WFD including ECOFRAME, EFI+. REBECCA, WISER and REFORM. 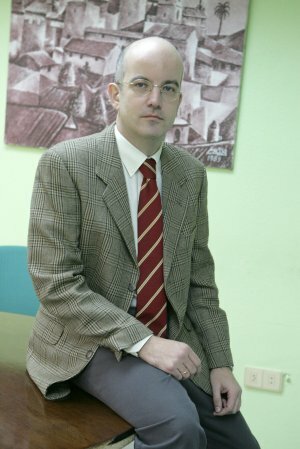 Alberto Pistocchi obtained his Master in Environmental Engineering and Land Planning (1997), Master in Philosophy (2002) and PhD (2001) at the University of Bologna, Italy. He is a chartered civil and environmental engineer since 1998. In 2012, he obtained the Italian National Scientific Qualification of Associate Professor in the class of Land Planning. During 1997-2004 and 2010-2014 his professional work has focused on hydraulic engineering (water supply and sanitation, flood risk management, small hydropower, groundwater modelling and management), land planning and environmental assessments (EIA, SEA). During 2000-2004, he has been the lead planner of the Emilia Romagna regional river basins masterplan, addressing flood risk mapping and the protection of aquatic ecosystems through land use and water abstractions regulation. In 2001, he co-founded GECOsistema, an innovative SME developing spatial decision support systems for environmental applications, of which he was the R&D director until 2004 and during 2010-2013. He was an adjunct professor of Land Planning at the University of Urbino in 2003-2004, and of Spatial Decision Support Systems at the University of Trento in 2010-2013 and 2015-2016. As a scientific project officer at the European Commission, DG JRC, he has been working during 2004-2009 on continental scale multimedia fate and transport modelling of persistent organic pollutants, pesticides and emerging aquatic contaminants. Since 2014 he works on the assessment of hydromorphological alterations and water quality on European water bodies as well as on the appraisal of river basin management options in the context of the EU Water Framework Directive. Within AMBER, EDF will be in charge alongside with CNSS in the organization of the AMBER Workshop "Conflict Resolution, Adaptive Barrier Management and Water Use" as part of WP5 and in order to discuss and learn from the case study of the Poutès Dam. EDF will make available the information regarding the Nouveau Poutès project, including societal aspects and technical conception of the dam as a solution to economic and environmental demands. Sylvain Lecuna is a hydrobiologist by training and current head of the New Poutès Project, project to reconfigure a hydroelectric dam. Ghislain Bouan is a communication officer at EDF Hydraulic Production with experience in conflict resolution. He will assist Sylvain Lecuna during the preparation phase. Bouan is in charge of External Communication for EDF including External communication strategy, Press Relations, Partnership development management, Events, Public and Institutional Relations development and Crisis Communication. He oversees 120 people at EDF. Joshua Royte, Conservation Scientist for The Nature Conservancy in Maine, USA is one of three non-EU scientific advisors for AMBER. His work with the Conservancy focuses on restoring priority river networks from the headwaters to the sea. He has helped guide the innovative Penobscot River Restoration project as well as being a core team member of the World Fish Migration Foundation which promotes the values and celebration of searun fish and free-flowing rivers globally. Ms. Wildman is an External Advisor for AMBER. Ms. Wildman is a professional fisheries and water resource engineer that has been involved in the planning, analysis, modeling, engineering design, permitting, and construction for over 150 dam/barrier removals throughout the United States. Dr. Guillermo Giannico is a fisheries specialist focusing on salmonid ecology and watershed management. As part of his responsibilities at Oregon State University he conducts research and produces public education materials on fish ecology and behavior, fish migration and passage, and fish habitat and river restoration. Martina Bussettini heads the Hydrology Unit at ISPRA, the Italian Institute for Environmental Protection and Research, in charge of technical implementation of environmental legislation and specifically WFD, FD, HD and of coordinating the national federated system of REgional/Provincial Environmental Protection Agencies. Her area of expertise is fluvial hydromorphology , ecology and catchment management, with specific competence on developing methods for monitoring, assessing and managing river processes. Her work focuses on applied research in the field of hydrology and fluvial geomorphology; development of methodologies, tools and instruments for the implementation of EU directives on water protection and flood risk management; coordination and participation in international, national and European research projects regarding hydrology, fluvial geomorphology and river management. She is nominated expert in hydrology, fluvial hydromorphology, flood risk at National level but also in European and International groups and is the National Delegate in the Commission of Hydrology (CHy) at World Meteorological Organization (WMO), where she is nominated expert for environmental flows. She presently co-leads the European Working Group on Ecological Status (ECOSTAT) and the Ad Hoc Task Group on Hydromorphology under the EC Common Implementation Strategy of WFD.